Russian national to be sentenced in SpyEye malware case in March 2015 | Russian Legal Information Agency (RAPSI). MOSCOW, November 14 (RAPSI) - US District Court for the Northern District of Georgia will pass sentence on Russian national Aleksandr Panin also known as “Gribodemon” and “Harderman” for wire and bank fraud on March 5, 2015. Panin was the principal creator and distributor of SpyEye, a malware program designed to collect financial data and bank accounts passwords from affected computers, according to US authorities. Between 2009 and 2011, Panin and others conspired to advertise and develop different versions of the program. He was able to sell the malware to upwards of 150 individuals, each of whom paid a sum ranging between $1,000 and $8,500 for different versions of the program. The grand total damage from thefts conducted using SpyEye runs up to $500 million, according to the US Justice Department. In addition, Panin is being charged with infiltrating 253 computer networks of various financial entities. 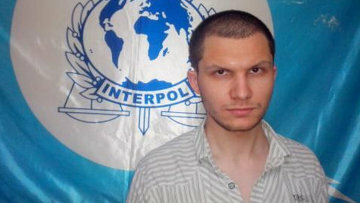 Panin was arrested by the US authorities in Georgia, in July 2013. In January 2014 he pleaded guilty to to conspiring to commit wire and bank fraud. After the FBI investigation, Panin’s four accomplices from Bulgaria and Uk were arrested. The US authorities earlier motioned to the Court of Northern District of Georgia to allow for releasing the information about hundreds of thousands of possible victims of Panin’s fraud. The motion stated that the sheer number of potential victims, their diverse points of origin and lack of any information beside the IP address hampered their identification and the ability to notify them that their computers have been compromised. 11:48 14/11/2014 US District Court for the Northern District of Georgia will pass sentence on Russian national Aleksandr Panin also known as “Gribodemon” and “Harderman” for wire and bank fraud on March 5, 2015.